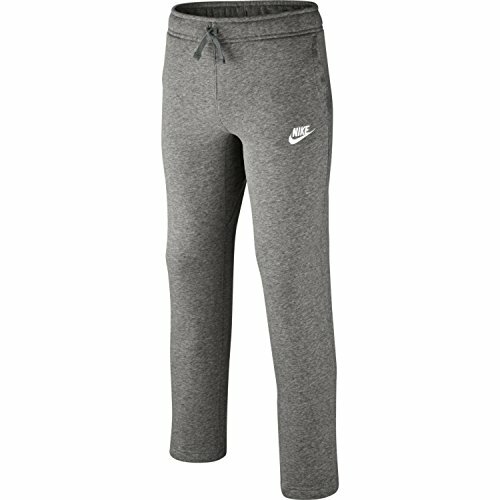 Give him premium warmth in a design that won't weigh him down with the Nike® Boys' Sportswear Sweatpants. Made for a modern, streamlined fit, these pants feature ultra-soft, brushed fleece fabric in a slim cut for a smooth, cozy feel. Open hems allow for easy on and off, while the stretch waistband provides a personalized fit. These Sportswear sweats give him the athletic style he craves in a comfortable design.